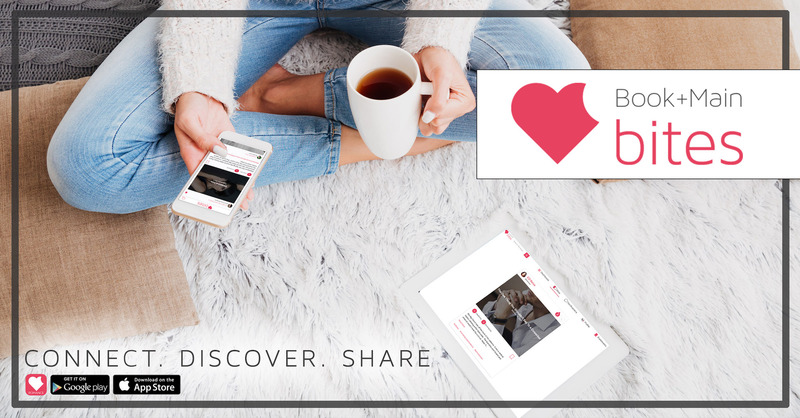 The brand new platform for Romance Book Lovers, Book+Main, is finally live!! HOORAY! So now what? They key here is that the whole premise behind Book+Main is that authors are the content providers. There are no tricks, no bombarding you with adverts, no sneaky algorithms, and no spam posts. Book + Main creators envisioned a platform to deliver stories in their purest form and they have excelled. You’ve registered and logged in … and unsure of what it all means. There’s so much to discover, where do you even begin? First, from your personal computer at www.bookandmainbites.com. Secondly, you can access the site from your mobile device on both Android and iOS. There are two types of accounts available: Reader and Author. Book+Main is more fun with friends, so track down your fellow book-buddies by name or user name in the search bar and give them a follow. The larger net you cast, the more authors you’ll discover. We know that most readers are mood readers. Some days you want that sweet second chance romance and others you want the rom-com or maybe a dark, sultry piece. So when you’re in the mood for a specific type of book, but don’t know what to read next, search the tropes in the search bar. So if you decide you’re in the mood for a Romantic Comedy, you select the Rom-Com trope and it’ll generate a list of Bites that have been uploaded to meet that specific criteria. The Bite itself is an except, deleted scene or piece of bonus content. What’s is unique and in my option utterly brilliant is that the book and author isn’t what grabs your attention…its the bite. The source will remain a mystery until you view the bite…then you learn who the author is and what the book is called…It might be a favourite author or it might be someone NEW! Once you’ve searched and found a bite you love, there are several things you can do. 1. If you like what you’ve read put a ring on it…no sorry wrong, I mean…Click the book icon at the bottom of the Bite to access the links to purchase the book right then and there. 2. You can “like” the Bite. 3. You can comment directly on the Bite with your thoughts. At the moment authors have to click each comment and press reply…we’re hoping for some so of quick smiley faced show of gratitude at some point. 4. You can share it with your own friends and followers. So not only is it important to Share the Bites you love, but also check your Share feed to learn which Bites your fellow bookworms are loving, too! Stay up to date with all of your favourite authors by giving them a follow. Authors you follow will automatically have their content fed into your stream of Bites. You’ll find an impressive mix of traditionally published and indie authors in the romance genre! The Discover tab; content shown here are Bites from authors you are not yet following and will appear in real time as they’re loaded into Book+Main. TELL YOUR BOOK LOVING FRIENDS! I’m gonna shout from the rooftops because I adore this platform and honestly, the more the merrier! Authors, readers, bookworms everywhere need to be here. So help spread the word to your book club, online reader groups, fellow bibliophiles and come discover all that Book+Main has to offer. If you have any questions about Book+Main, I’m one of the founding authors on the platform and have spent the past three months neck deep in B+M. I am more than happy to help answer any questions … and if I don’t know the answer I definitely know someone that does.